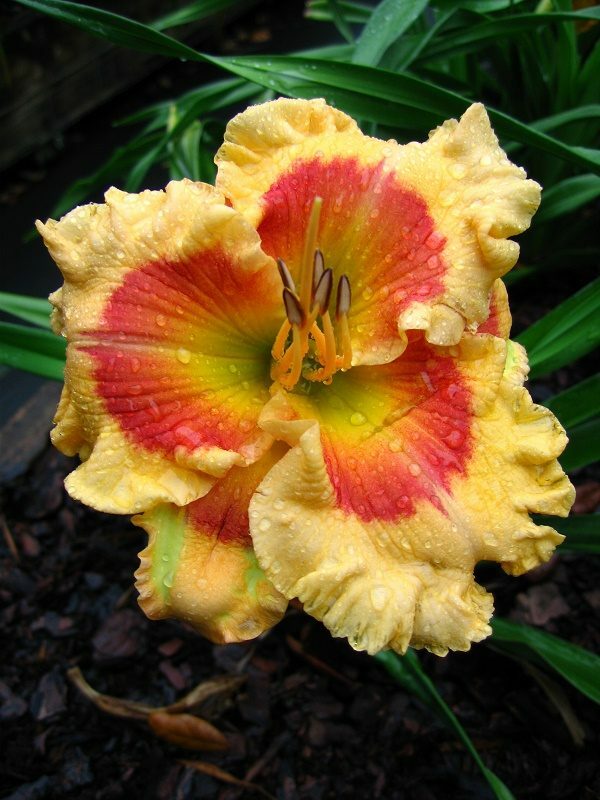 Day Lily X Factor has flowers which are pale yellow at the edges turning to orange in its centre. 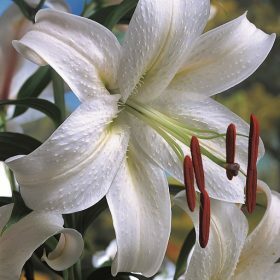 Each flower lasts only one day – hence the name Day Lily – but the large exotic looking flowers just keep on coming throughout the summer months. They are such superb garden plants and are invaluable for the summer garden because of the colour they add. Plant amongst shrubs. in borders or containers for a superb showing of colour. Commonly known as Day Lilies! 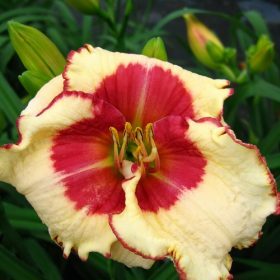 Hemerocallis are easy to grow and best left undisturbed for a number of years to let them bulk up. 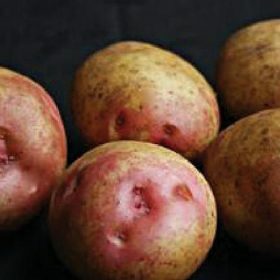 When planting cultivate the soil to a depth of 15cms and plant the rhizomes so the tips are 5cms below the soil surface. Soil type: Free draining light soils preferred. Heavier clay soils are ok as long as they do not dry out in the summer or become waterlogged over winter.